THE ultimate piece of technology for anyone who loves a clean kitchen. InSinkErator food waste disposers immediately eliminate the problem of messy, smelly food scraps by grinding and flushing them down the kitchen drain. InSinkErator – owned and operated by Emerson Appliances – offers a complete line of technologically sophisticated, reliable and energy-efficient waste disposal solutions. The best-selling food waste disposal brand in the world, millions of InSinkErator disposers are manufactured annually. Today, In Sink Erator has operations in over 80 countries worldwide. With approximately 70% of the 19 million tons of food waste that goes to landfill every year comprising of water, InSinkErator’s products provide an environmentally-responsible alternative to transporting food waste to landfills and can help reduce greenhouse gas emissions. At capable wastewater treatment plants, food waste can be converted to biosolids and used as fertiliser. InSinkErator has become the number one choice of plumbing professionals, builders and kitchen dealers due to its commitment to quality, service and performance, with customers able to install the machine and never have to think about it again. InSinkErator systems are technologically advanced and durable, using powerful grinding technology to reduce pipe clogs and protect your plumbing, and sound deadening technology to render the appliance 60% quieter than competitors. Your kitchen isn’t complete without a quiet and reliable InSinkErator product that promises never to back up your pipes. InSinkErator believes that every product bearing its name must deliver a promise, an expectation and a solution: A promise that InSinkErator products will deliver the benefits advertised; an expectation that InSinkErator products will consistently exceed customer expectations; and a solution that will make the lives of InSinkErator customers in the kitchen more efficient, comfortable and relaxing. 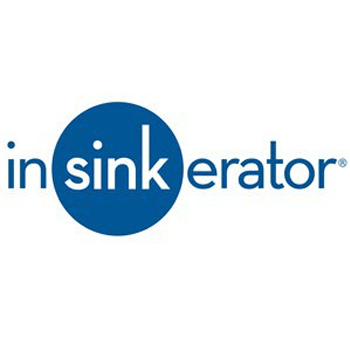 InSinkErator is the go-to brand for kitchen garbage disposers. Able to be conveniently installed in your kitchen sink, an InSinkErator is the simple and long-lasting way to keep your kitchen clean. All everyday kitchen scraps can be disposed of through the InSinkErator, meaning they won’t need to rot in your kitchen’s garbage or be sorted into a separate compost bin.